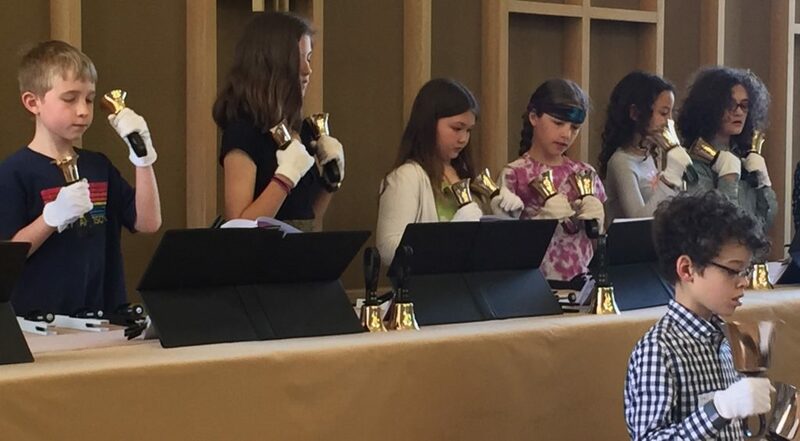 The Youth Handbell Choir at FCC was founded in 2013 and has grown steadily over the years. We currently have over 14 ringers in the choir with new ringers joining at the start of each semester. The group rehearses after church each Sunday and typically plays in worship 4-5 times per year, including Christmas Eve and Palm Sunday. Bell ringing is a “musical team sport.” The youth learn to play together as a group while having fun with various bell ringing techniques. We welcome new ringers starting in grade 3 through high school.